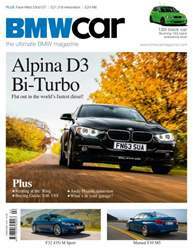 In the February issue of BMW Car. 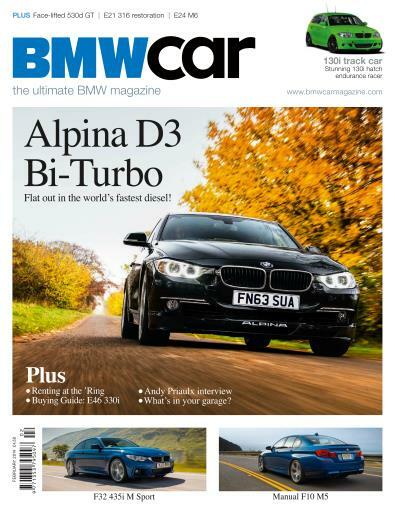 On the Cover: The world's fastest diesel – Alpina's D3 Bi-Turbo. 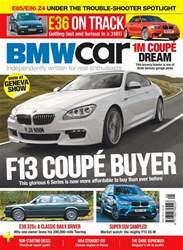 Driven this month: 435i M Sport, 530d GT Luxury, US spec E24 M6, Ring Rental racers – 125i and E92 M3. 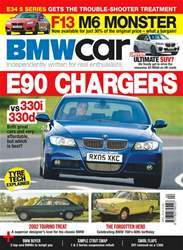 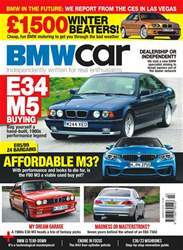 Also in this issue: 130i endurance racer, Andy Priaulx interview, E21 restoration, E46 330i Buying Guide plus News, longtermers and E46 cooling problems.